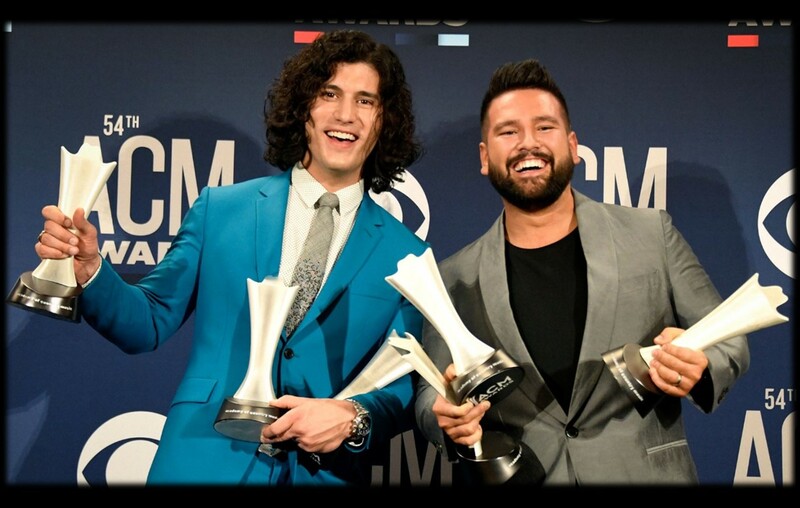 Dan and Shay 2019 ACM Awards: Dan Smyers and Shay Mooney had one of the biggest nights of their career! More on their reaction here! After Sunday night (4/7), Dan and Shay 2019 ACM Awards just go together…. The country music duo will never forget this awards show! Reba McEntire herself re-named the ceremony “Dan + Shay’s Excellent Adventure,” with the duo taking home three awards and Dan Smyers earning five. The Multi-Platinum, chart-topping global hit “Tequila” earned the pair Song and Single of the Year awards early in the evening. The stars also took home the title of Duo of the Year after performing their larger-than-life duet “Keeping Score” with Kelly Clarkson. In celebration, Dan Smyers and Shay Mooney released a special acoustic version of the song last night following the show. Listen to it below! might edit this later with a more eloquently worded caption, but emotions are still running wild, and we are currently running around the hotel hugging our team who fights everyday to make this all possible. thank you to the @acmawards and everybody who voted for us. you make us feel so loved and we are forever grateful. Congrats to these two on their big wins! Share this Dan and Shay 2019 ACM Awards update with other fans!